Small Business Insurance comes with many faces. 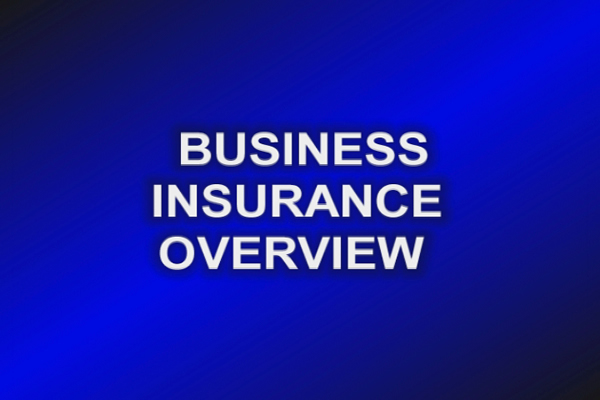 Be sure you look at all the different aspects of insurance and see which suits yours and your businesses needs. The options vary from General Commercial Liability insurance to Key Person insurance, and many additional options in between. A qualified insurance agent or broker can help lead you in the right direction. Cover yourself and your business now, and spend the rest of your time making your business a success. Small Business Auto Insurance - Commercial auto coverage provides important financial protection and is required under the laws of most states. Small Business General Liability Insurance - Small businesses have to be protected against the legal and financial consequences of accidents. Directors and Officers Insurance for Private Companies - D&O coverage protects company leaders against liability claims and safeguards their personal assets. Small Business Environmental Insurance - The need for environmental coverage isn’t always apparent, but the insurance can protect small businesses in a variety of industries. Fidelity Bonds for Small Businesses - A fidelity bond provides a financial guarantee to protect companies and customers against employee theft or fraud. Flood Insurance - Flooding is the most common cause of natural disaster damage in the United States. Without flood insurance many businesses will not be able to reopen. Small Business Key Person Insurance - Key person coverage protects small businesses against the implications of a critical employee dying or becoming disabled. Property Insurance for Small Businesses - Effective property insurance is a cornerstone of an effective small business risk management strategy. Package Insurance for Small Business Owners - Combining property, liability and specialized protection in a package can provide convenience and savings. Shopping for Small Business Insurance - Buying insurance may seem complicated, but the right professional can help you arrange critical protection for your company and its assets. Workers' Comp for Small Business - Workers’ comp coverage protects employees against accident and injuries while also protecting employers from accident-related litigation. Protecting Your Small Business With Cyber Insurance - Cyber insurance is worth looking into, regardless of the size of your business or the type of information your store. Risk Management covers a lot of territory in a small business. From accident prevention and reducing ergonomic problems, to fire safety and disaster recovery, along with employee fraud risks and avoiding violence in the workplace, just to name a few. Being prepared for the possibility that you may be faced with one, or several, of these matters can save you an extraordinary amount of time, money and frustration down the road. A little research and preparation can save you and your business from disaster. Preventing Accidents in Your Small Business - Workplace accidents can cause large financial, personnel and productivity losses for small businesses. Preventing Violence in Your Small Business - Every business hopes it’s not affected by workplace violence, but it’s important for business owners to develop prevention and response plans. Small Business Fire Safety - An effective fire prevention strategy blends safe materials handling, workplace design and safety equipment. Preventing Tech-Related Ergonomics Problems - As mobile devices play a larger role in how we work, companies have to adjust their ergonomics practices. Reducing Employee Fraud Risks - Along with financial losses, fraud at a small business is often compounded by a personal violation of trust. Disaster Recovery for Small Businesses - As disaster risk rises, small businesses are adjusting disaster recovery plans to highlight the importance of mobility and cloud computing. Risk Management for Small Business - Effective risk management helps companies identify and prevent potential losses.